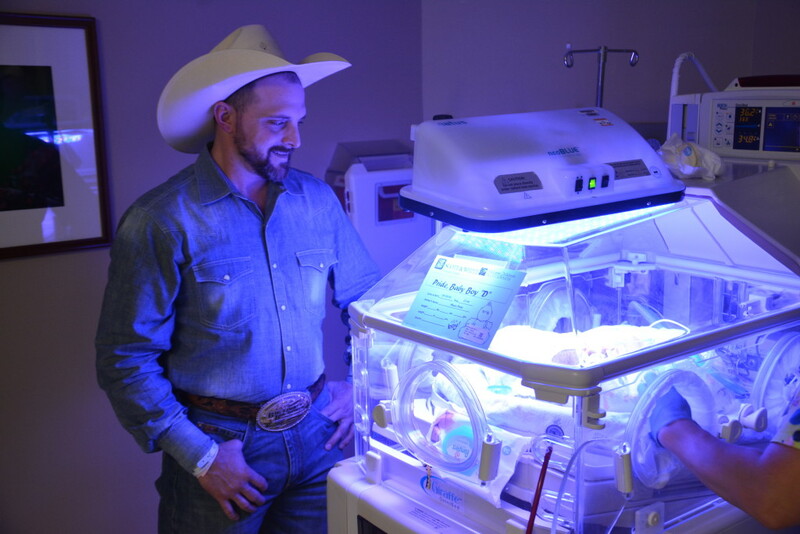 Trent and Niki Pride from College Station became proud parents of quadruplets – three boys and one girl. Forty precious fingers and forty precious toes were welcomed at Scott & White Memorial Hospital – Temple. The quads began arriving at 7:46 am with Payton, weighing in at 2 lbs, 10.7 ounces, leading the way, followed by her brothers – Pecos at 2 lbs 14.9 oz; Porter at 2 lbs, 11.4 oz; and Powers at 3 lbs, 1 ounce. Niki continues to recover and the quadruplets are all in the NICU. They are doing well and continuing to grow daily. Trent and Niki got to hold their newborns for the first time Friday evening and can’t wait to introduce their new additions to the Aggie family. At this time, the family has requested privacy. Update on September 14, 2015: The family has now been discharged and the babies are thriving!